These outcomes and activities will be consolidated in the COTEVOS’s white book “Business Opportunities and Interoperability Assessment for EV Integration” along with best practices from project partners. The white book will be available online for free download on the COTEVOS website. The specification of the interoperability testing services of the COTEVOS partners and further parties is already available in the Database of DER and Smart Grid Research Infrastructure. Along with testing specifications in the Database of DER and Smart Grid Research Infrastructure, COTEVOS presents a number of videos demonstrating new testing procedures and the approach to the unified laboratory for interoperability assessment. Each video presents the research institute’s interoperability testing capabilities together with corresponding devices-under-test. 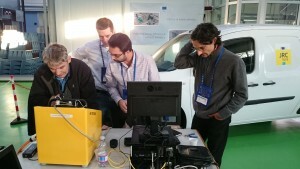 On 30 November – 4 December, 2015, EV stakeholders, under the technical support of COTEVOS, gathered in Ispra (IT) at the V2G (Vehicle-to-Grid) Plugtests™ event to assess the interoperability of systems, apparatus and protocols for the integration of EVs within the electricity grid. 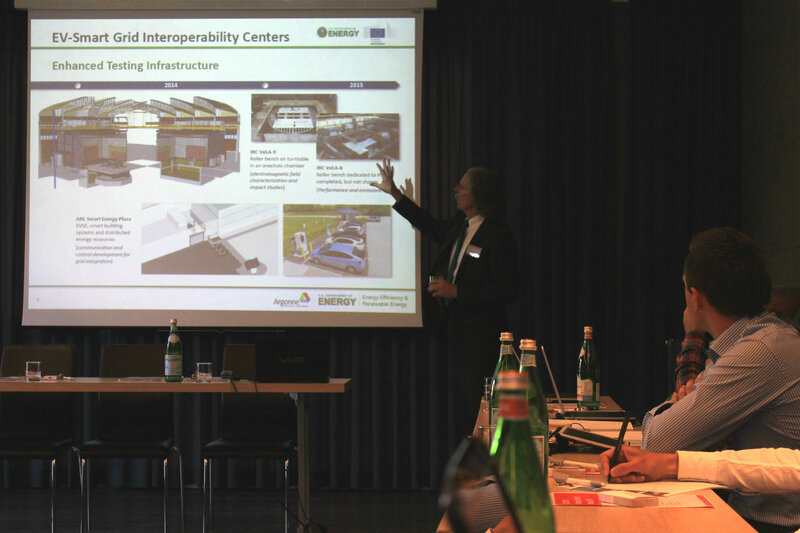 Organised by the European Telecommunications Standards Institute’s Centre for Testing and Interoperability (ETSI CTI), the event was hosted by the Joint Research Centre (JRC) and was dedicated to carrying out the testing campaign based on the interoperability test plan developed by COTEVOS partners. The test plan contained around 50 interoperability tests for ISO/IEC 61851, ISO/IEC 15118, and OCPP. 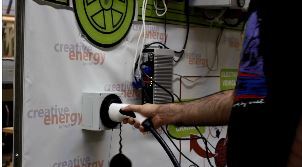 Participating EV stakeholders had a unique opportunity to test end-to-end functionality with real Devices-under-Test (DuT) and partially emulated environment. The goal of interoperability tests was to check that different devices implementing the same protocol specification are able to communicate and follow the expected behaviour. The test sessions were carried out with devices from different vendors, and tests were performed depending on the test configuration. Here you can find the complete technical report on the Plugtest. The outcomes of this Plugtest event will be also partly published in the upcoming COTEVOS white book “Business Opportunities and Interoperability Assessment for EV Integration”. 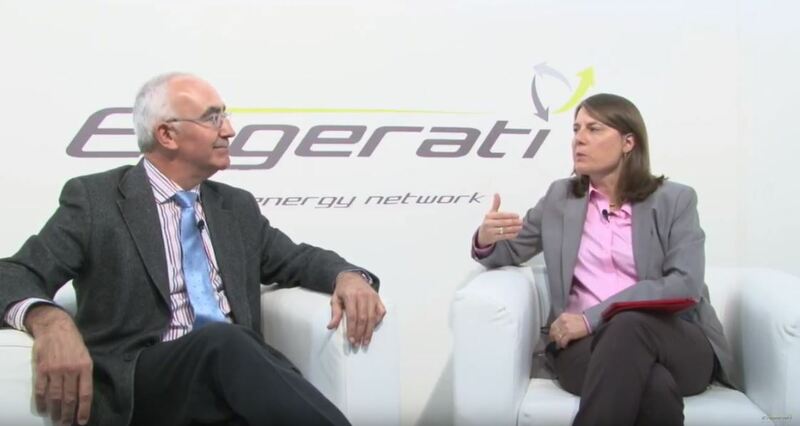 At the European Utility Week in November 2015, Carol L. Stimmel (ENGERATI) interviewed Eduardo Zabala (TECNALIA) about EV mobility, its interoperability needs, the COTEVOS effort in this context and much more. You can find the complete interview here. Covering such a vast thematic scope, this DER Journal shares knowledge and experience to various stakeholders of the EV research and market. Research infrastructures will find information on ways of enhancing their ICT testing capabilities for the EV integration in the smart grid environment. 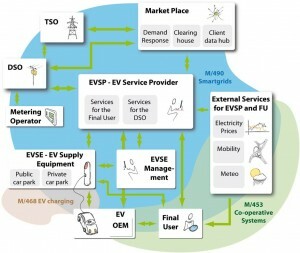 The EV industry, original equipment manufacturers and other service providers might find new ideas for business models and services based on EV charging management. Meanwhile distribution operators are provided with new information on grid stability and the build-up for future EV developments. 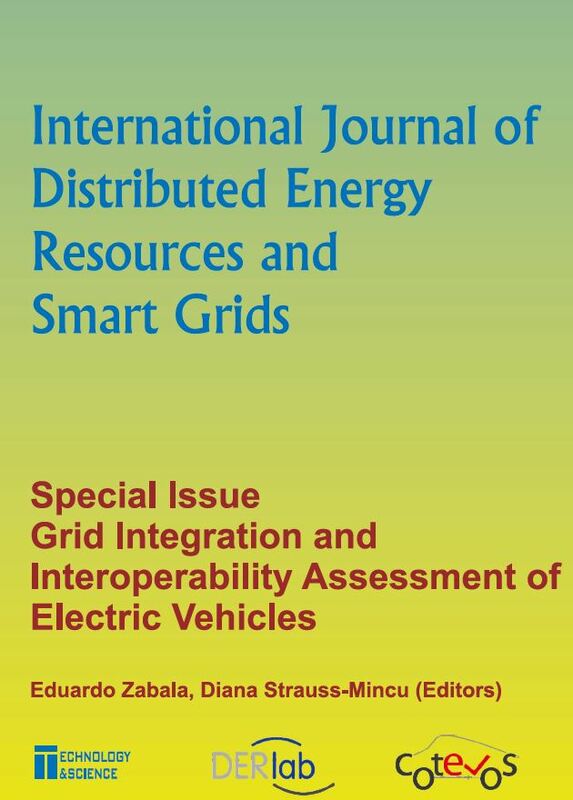 Here you can find the COTEVOS/DERlab special issue of the DER Journal “Grid Integration and Interoperability Assessment of Electric Vehicles” available for free download. Best practices given in this white book will provide the industry with the awareness of future EV developments and research infrastructure – with the insight to enhance their ICT testing capabilities for the EV integration in the smart grid. The white book also presents the major outcomes of the COTEVOS project. 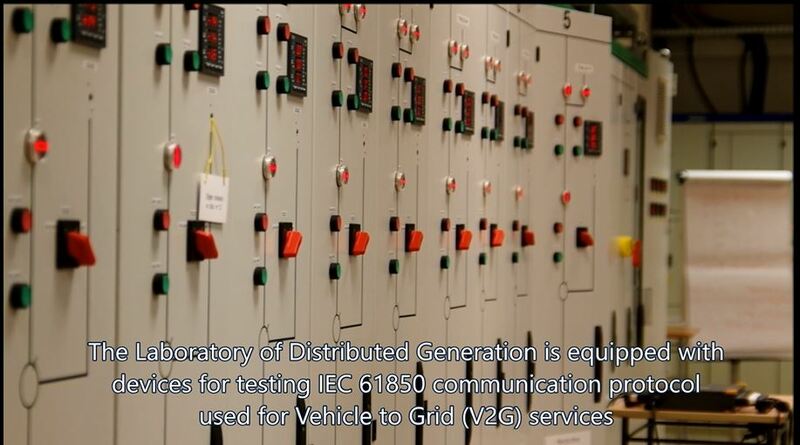 This V2G (Vehicle-to-Grid) Plugtests™ event focuses on assessing the interoperability of systems, apparatus and protocols for the interfaces that can be used to integrate Electric Vehicles (EVs) within the electricity grid. Invited are EV industry stakeholders interested to take part in testing EV charging and operation and EVSE operation (further tests in the planning stage). 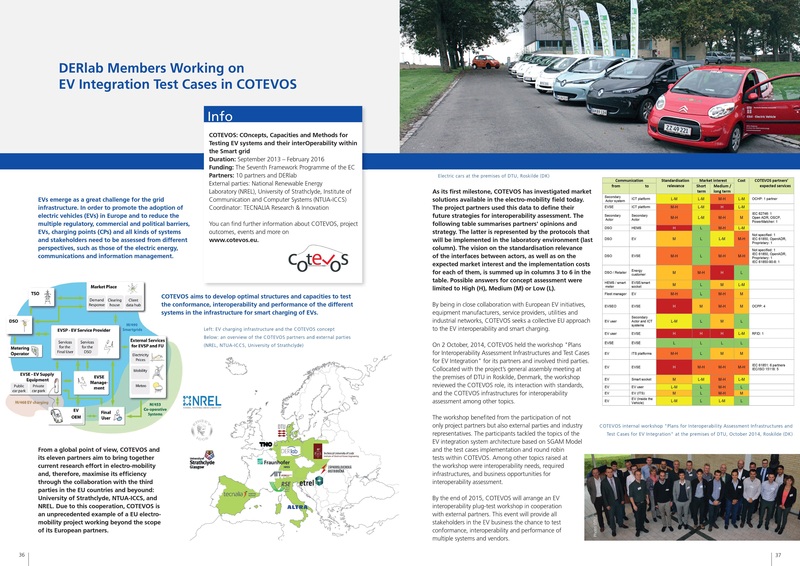 Hosted by the Joint Research Centre (JRC) and organised by ETSI’s Centre for Testing and Interoperability (CTI) with the support of the COTEVOS project, the event will carry out the testing campaign based on the interoperability test plan developed by COTEVOS partners. You can find out more by contacting cotevos[at]der-lab.net and register here. 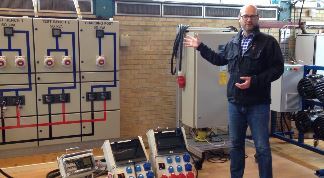 In the passed workshop on EV interoperability in the Hague (NL), on 14-15 September, 2015, COTEVOS consortium and the invited presenters from the EV industry discussed the current status of IOP testing in the project and conformance testing as well as experience with EV-related communication protocols and field tests. 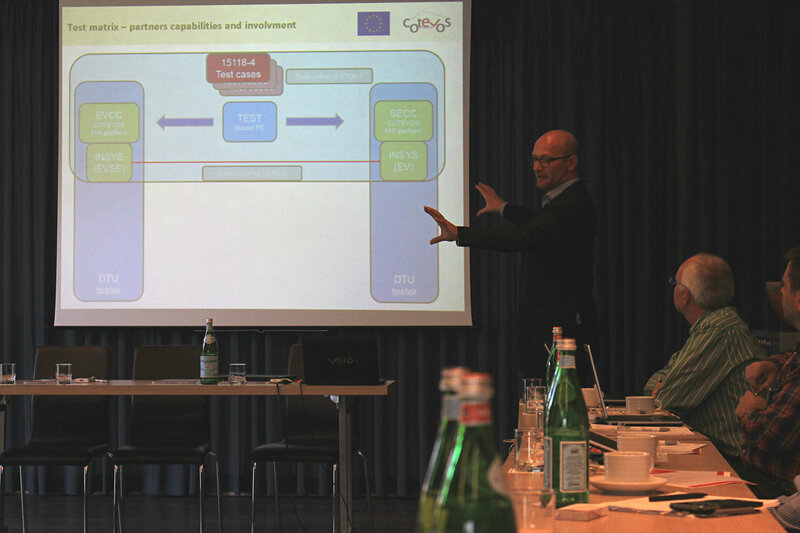 Having reviewed the project’s first results of the IOP tests and taking into account the crucial role of geographical, technical, and financial interoperability, the COTEVOS consortium defined its next steps in the IOP aspect: testing all models in the market, identifying corresponding test cases and developing the concept of sharing the research infrastructures. The workshop participants also discussed test cases around the Charging System Operator, particular COTEVOS test cases and test cases with high-level actors. 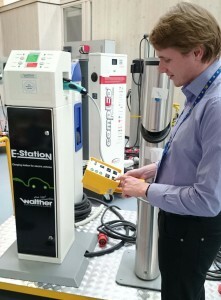 The workshop also gave the participants the opportunity to view the demonstration of an eMobility simulator and EVSE interaction by Ewoud Werkman and Robert Koffrie (TNO). You can find the public presentations form the workshop here. 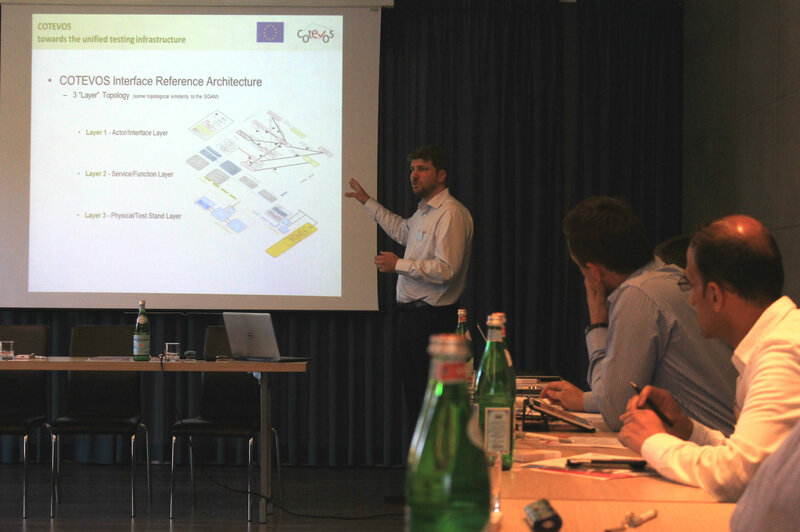 The project consortium planned the final steps in the project and the upcoming Vehicle-to-Grid PlugTests event in Ispra (IT) on 30 November – 4 December, 2015, as the concluding event for COTEVOS activities. Interested EV stakeholders can take part in testing EV charging and operation and EVSE operation (further tests in the planning stage). 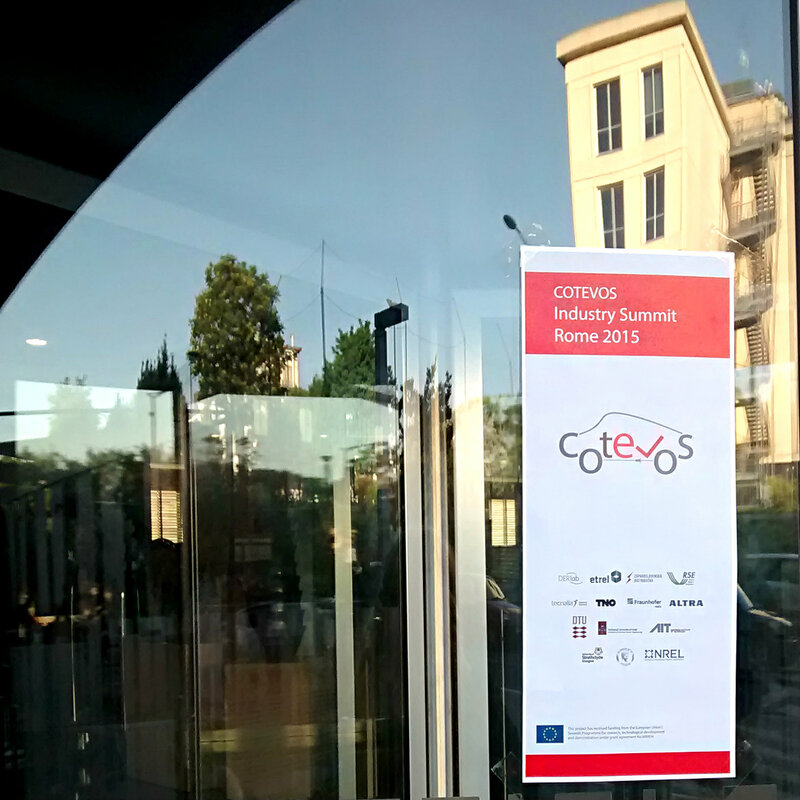 On 25 May, 2015, COTEVOS partners and industry stakeholders gathered in Rome (IT) to discuss future cooperation possibilities between the project and the industry. The discussion was centered around the following topics and presentations. 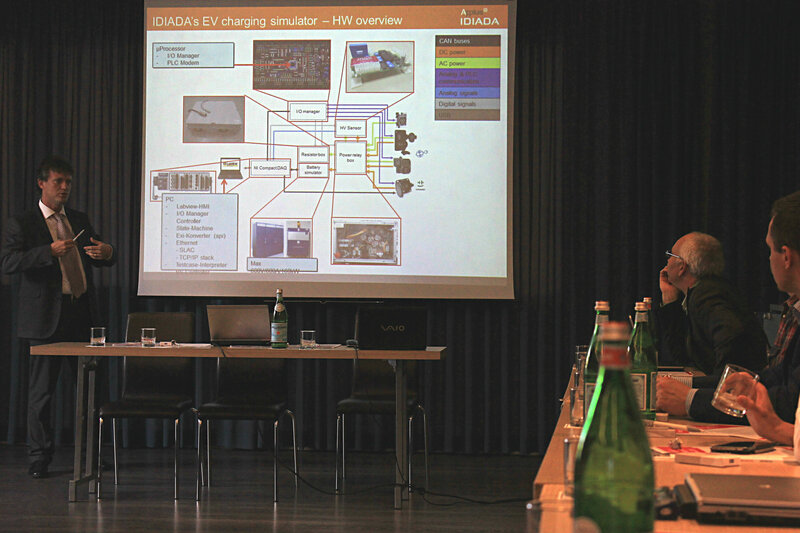 Klaus Kersting, Product Manager EV/HEV of IDIADA, a leading global company specialising in providing design, engineering, testing and homologation services to the automotive industry including electric vehicles, presented IDIADA’s practical experience with AC and DC EVSE interoperability tests along with additional customer-specific test cases and the potential of collaboration with COTEVOS. In his presentation “US/EU EV-Smart Grid Interoperability Centers Harmonisation of PEV standards, technology and test procedures”, Keith Hardy, Director of the US EV-Smart Grid Interoperability Center at the Argonne National Laboratory, talked about ways of advancing transatlantic e-mobility cooperation, shared interests of the US and EU, the harmonisation and holistic integration of technology and standards in the smart grid, smart buildings and smart city environments, and the enhanced EV testing infrastructure of the Argonne National Laboratory. In “COTEVOS towards the unified testing infrastructure”, Felix Lehfuss from AIT presented the COTEVOS approach to the unified testing infrastructure, implementation of the reference architecture in line with the SGAM framework, and the current implementation status in the COTEVOS consortium based on the lab/physical layer. Thomas Meier Sørensen from DTU presented “Test cases and the unified test infrastructure”, including the test case description with pre- and post-conditions in COTEVOS and the COTEVOS methodology in the interoperability round-robin testing. The COTEVOS Industry Summit participants agreed on further cooperation of the industry stakeholders and the COTEVOS project, which will be enhanced in the upcoming COTEVOS workshop and the COTEVOS interoperability plug test in Ispra (IT). In its major publication, the association of leading research institutes and companies in the field of distributed energy resources equipment and systems highlights the progress and the goals of the COTEVOS project. You can find the entire DERlab Activity Report online here.